Back to the class taken yesterday and today with Casey Klahn. Here is the question. Should you take classes from someone with whom you respect their art for they are an award winning artist, but you do not agree with their philosophy or style? That is a question I had to ask myself after this last weekend. How do you feel about the critique from someone whose view on the art world is no where near the same as yours. Is art education and knowledge a plus or a minus. There is SO much information available that one can tune to meet their personal need, do you agree because it is easier or do speak up for you disagree? When I was teaching at The Art Institute of Seattle, I would tell my students that anything written in a book is only one persons opinion, it is not always fact and certainly not written in stone. People tend to believe anything that is written, but that does not make it the truth. We are all a combination of what we read, what we feel and what we think we know. 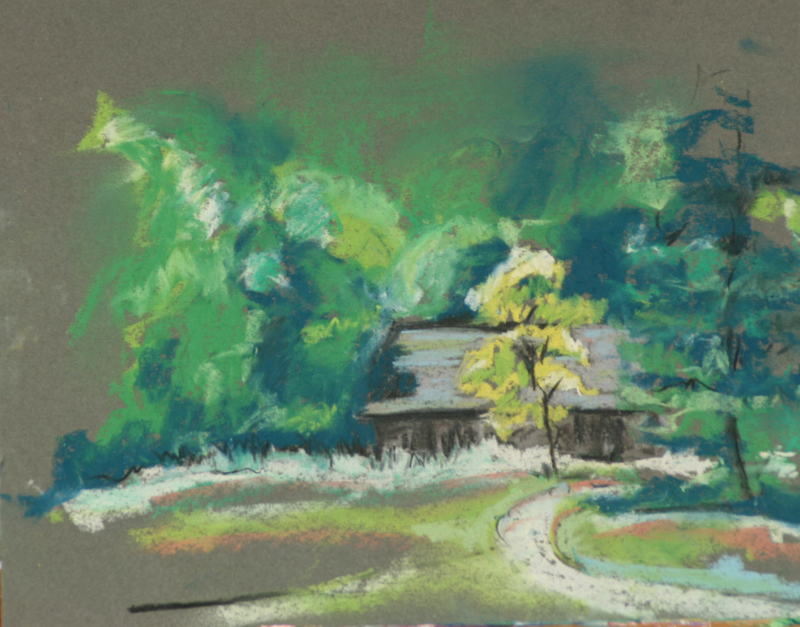 These are both pastels from todays class. It was a “learning” experience.